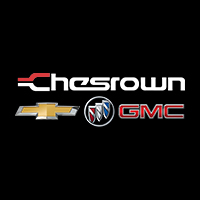 Chesrown Chevrolet Buick GMC is a family owned and operated dealership that has proudly served Central Ohio and beyond for more than 50 years. Since we opened our doors in 1963, we have maintained our commitment to providing our customers with a personable, ‘Deal With the Owner’ experience. We want you to feel comfortable when you’re at our dealership because buying a vehicle should be an exciting and stress-free process. We offer a wide selection of vehicles so that our customers have a variety of brands to choose from. Even if you’re not looking for a new vehicle and simply just need routine maintenance or another vehicle service, we are here to assist you. If you have any questions, comments or concerns, don’t hesitate to contact us at (740) 363-1175. At Chesrown Chevrolet Buick GMC, we are honored and thrilled to be in business 50 years after opening our doors to Central Ohio in 1963 – and we have no one else to thank except Norman Chesrown, the founder of our great establishment. Norman was known around the community as a friendly Buick Salesman for years before Chesrown came into being. Having sales experience, Norman was given the opportunity in the early 1960’s to purchase an Oldsmobile dealership. Taking a chance, Chesrown acquired the dealership and officially opened Chesrown Oldsmobile in 1963. From 1963 until the 80’s, Chesrown Oldsmobile was a shining star within the Central Ohio area. Norman – known around town as “Rocketman” for the Oldsmobile symbol -touched the lives of many community members and was known for genuinely caring about his customers. With Norman, customers became family and he worked hard to treat his family with the utmost respect and compassion. It was during this time as Chesrown Oldsmobile that Norman’s dealership became one of the top 10 Oldsmobile dealers in the country, and kept that ranking for 15 years. With Norman, his superstar Oldsmobile employees, and his three stepsons Jim Gill, Dave Gill and Tom Gill working together, Chesrown Oldsmobile made business personal, giving the dealership great success. As time passed, Dave Gill and Tom Gill left Chesrown Oldsmobile to open their own dealerships. Dave Gill opened Dave Gill Chevrolet, while Tom Gill opened Tom Gill Chevrolet. However, Jim Gill remained at Chesrown alongside Norman. It was during this time in the mid-to-late 1980’s that the auto industry as a whole was hit hard with record interest rates. With such high rates, dealers across the nation were faced with the difficulty of trying to sell cars to customers that were daunted by this never before seen interest. Despite the tough environment, Norman and Jim pushed through and continued to see success. In May of 2000, Jim Gill signed the papers to take over the Oldsmobile dealership from Norman. It was shortly after acquiring the dealership that GM announced they would be discontinuing the Oldsmobile line. With very little time and a whole lot of pressure, Jim was in need of a brand if he was going to stay in the car business. After making calls around town, Jim was able to come to an agreement with a Buick, Pontiac, GMC dealership in Delaware. In 2003, Jim’s son Ryan officially joined the Chesrown team after spending the summers in between school working alongside his dad. Working together with the support of loyal Chesrown clientele, the Gills were able to stand strong and continue the success and innovative thinking that Norman had created so many years before. A few years later, Jim acquired Chevrolet and Cadillac just before he would unknowingly be faced with another obstacle. In 2009, GM declared bankruptcy and triggered the biggest industrial bankruptcy in the history of our nation. This momentous event caused ripples to surge outward and even Chesrown could not escape the wave. It became unclear if GM would survive the next couple of years, let alone return to their former glory. Many drivers balked at the idea of purchasing a vehicle which hurt family owned and operated businesses such as Chesrown. Shortly after, it was announced that Pontiac would be going out of business, which meant that Chesrown was losing one of its bigger brands. It is only because of Chesrown’s loyal customers, fantastic employees, and the hard work of Jim and Ryan Gill that Chesrown was able to rise out of the ashes a stronger and more determined dealership. Current day Chesrown Chevrolet Buick GMC is a dealership that knows what it’s like to struggle and have to strive to reach the top again. However, it is these difficulties and challenges that have made Chesrown the dealership it is today. Jim and Ryan Gill have taken the basic principles set down by Norman Chesrown and built upon them to create a business that puts its focus on keeping the car buying experience friendly, personal, and fun. This ideology partnered with a fantastic team allows us to deliver a ‘Deal With the Owner’ experience to each and every customer that visits. Chesrown Chevrolet Buick GMC has been doing exceptionally well because of the company culture. It is because of this success that we have outgrown our current location and are expanding to a new showroom and service center across the street from our current store. This 36,000 square feet of extra space will allow for us to better serve our customers by providing them with three times the service capacity, more amenities, an improved waiting area, and more! We are very proud of the work that is being done to our new space and can’t wait to open it up to the community. While the space is changing and expanding, we will continue to provide our customers with an ‘at-home’ environment. We want you to feel comfortable when you visit Chesrown and act as if you are amongst friends – because you are! We are committed to providing you, our customer, with an exceptional and upbeat experience. From car shopping to vehicle service to financing your purchase, we are here to help you every step of the way. At Chesrown Chevrolet Buick GMC, we offer a FUN car buying experience. Please feel free to reach out to us at (740) 363-1175, or stop by our dealership located at 1701 Columbus Pike in Delaware, OH.